Memories are worth more than money. Or are they? Former teacher turned reporter Deena Sharpe craves more adventure than covering dull city council meetings in the small town of Maycroft, Texas. But when she follows a hunch to investigate a story lead, she finds a dead body and becomes suspect number one. To make matters worse, a new psychic in town has residents on edge. Strange happenings multiply as quickly as the list of murder suspects, and Deena finds herself with more adventure than she had bargained for. No pedicure is too painful and no dumpster is too deep as Deena seeks to unveil the killer before anyone else gets hurt. 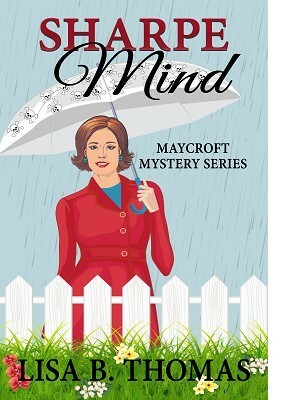 Sharpe Mind, Book 3 in the Maycroft Mystery series, offers readers a healthy dose of intrigue along with a generous sprinkle of humor. If you like a mystery with good, clean fun, cozy up to Sharpe Mind today!